Finance Costs > How Much Does Gravestone Engraving Cost? How Much Does Gravestone Engraving Cost? Gravestone engraving is the process of engraving a tombstone with a message, date of birth, and date of death of a deceased person. Most engraving can be completely customized to your standards: You will be able to choose the wording, the font, the size, and whether you want any type of picture or emblem on the tombstone. The cost of engraving a tombstone will widely vary depending on who is performing the engraving, the size of the tombstone and the amount of engraving that has to be done. On average, plan on spending anywhere from $200 to as much as $1,500 for an average engraving job. The prices will widely fluctuate depending on the type of stone being engraved on and the number of letters that are going to be engraved. Most companies will mainly charge based on the number of letters that will be on the tombstone. Some professionals may charge per word. For example, a 25-word engraving job on a granite tombstone could cost $200 to $350 while a larger job that has inscriptions on both the front and back could cost upwards of $1,000. If you wanted something simple such as, “In Loving Memory Of…,” this could cost around $350. To play it safe with your budget, plan on spending at least $20 per letter. This should often include the traveling fees, cemetery permits, and more. Monument Lettering, for instance, starts their charges at $395 for up to 20 letters and/or numbers, with extra engraving costing $9 per character. Hand carved or hand-drawn lettering, if you were to need this option, could be an additional charge as well. Before the engraving starts, the company will want to know details such as the size of the tombstone, the type of material from which it is made, and what needs to be placed on the stone. Once the ordering information has been acquired, it will be engraved. It will typically take up to eight weeks for you to receive it, but this will all depend on how busy the shop is. Once the process has been done, a proof shot will be sent to your residence, and from there, you can approve the engraving shot. Once approved, the stone will be engraved and then be sent to the specified cemetery for installation. Most companies can also do the engraving on site if the stone has already been installed. If an edit needs to be done in the future, most companies will go directly to the cemetery. If this is the case, plan on paying a travel surcharge in addition to the typical engraving fees. Aside from edits, repairs may be required too. This can include a cracked stone or a simple restoration. Repairs generally cost anywhere from $100 to $300. Some cemeteries may charge a fee to have an engraver come on site and do work. There are many times when a permit may be required for the engravers to come on site. On average, the cemetery may require fees that range from $100 to $300. Photoengraving such as ceramic steel photo and tri-tone photo can be considered an additional expense. If you want the engraving expedited, this could cost a few hundred more. Some cemeteries have strict rules when it comes to the lettering that is used. Make sure that the cemetery in which you are having the stone installed will accept the type of lettering that you want to use. If a cemetery has rules like this, they will probably also have rules about the size. Before an engraving job is done, make sure that you know what areas the company serves. If you choose a company that is too far away, it may cost you more. Since engraving can get rather expensive, many companies offer monthly payment plans. Inquire about this type of plan to see if it is something that you can afford. Because something like this is a necessity that occurs in a time of crisis, most companies will be willing to work with you. 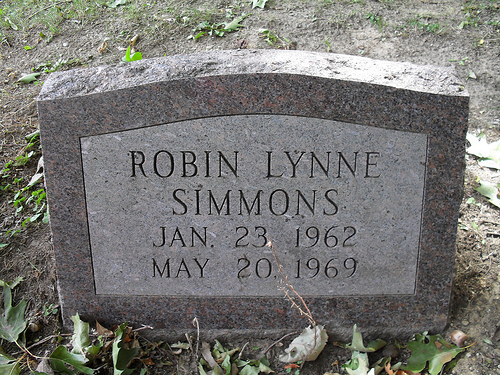 There are many tombstones that you can purchase that are already engraved by general statements such as “In Loving Memory.” These stones would only need names and dates added, saving you a lot of money in the end. Have received two quotes so far for a simple one line granite aaprox 2 inch, year 8 letter name and year. thats all thats needed stone already has family name on it.